Voice communications is the most important tool used for conducting business and interacting with people. Communications has evolved significantly since the advent of the Internet by unifying all our communication channels. Utilizing specialized providers who focus on hosted and unified communications, organizations can communicate effectivity at lower costs and improved business efficiency. Techlytic can advise you on all the latest communication technologies required to help your company operate at full capacity, while reducing total costs and improving productivity. Session initiation protocol (SIP) trunking is the standard for delivering voice communications over IP (VoIP). As analog service has transitioned to digital, SIP trunking has replaced traditional telephone lines and ISDN-PRI service. SIP trunking works extremely well over internet circuits and is perfectly suited for MPLS networks. Hosted VoIP, Hosted PBX, Virtual PBX, Cloud PBX, UCaaS are all terms to describe the technology that removes the legacy PBX equipment from your premise and provides an enterprise phone system delivered as a service. Phone calls are made over an IP connection. The technology unifies your voice and data services into one network so you can reduce expense. The convergence of voice and data has also revolutionized communications so that you can make calls, chat, web and video collaborate to anyone from all your devices. A hosted contact center provides all the function of traditional contact center but its hosted on a service provider’s platform, offering lower cost of ownership, easier scalability and flexibility with pay-as-you go plans. This technology is the central point of inbound and outbound customer communications so companies can manage and better serve their customers. Deployment of hosted contact centers can be handled in days. Adjusting to increased or decreased customer traffic ensures companies are able to meet the demand of their customers and only pay for what they use. With the advance in network and bandwidth capacity, video calls and conferencing are as easy as making phone calls – even from a mobile phone or tablet. 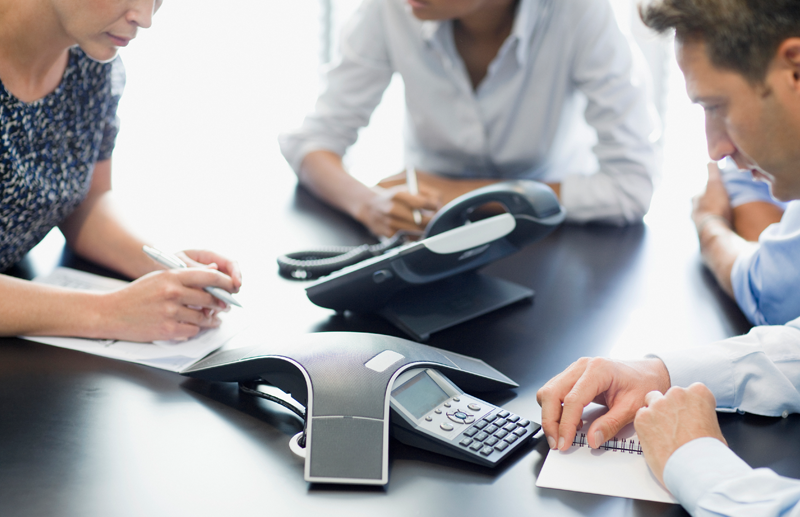 Video conferencing can also be bundled into your UCaaS platform to present users and businesses with additional ways to conduct productive meetings. This is the traditional model for conference calling where users call into a main number and enter a passcode to join a host and their meeting. This is commonly called reservationless conference calling. Communication services are constantly changing. Staying up-to-date with the latest voice and data technologies available can be overwhelming. Techlytic is committed to helping our clients understand the various services available to streamline communications and enhance productivity. Call us today at 312-623-4080 or email info@techlytic.com for a consultation. If you are interested in learning more about Techlytic or discussing your technology needs, then email us, send in the contact form or just give us a call. We are here to help!